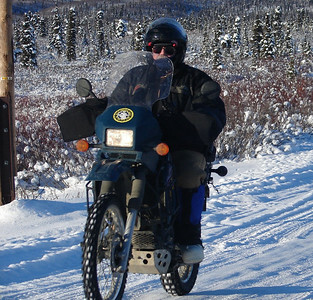 2/?/06 - Thinking of making a winter trip to Deadhorse, Roger Bliss (Wheeldog) and I haul his KLR 650 to the Haul Rd and try it out. 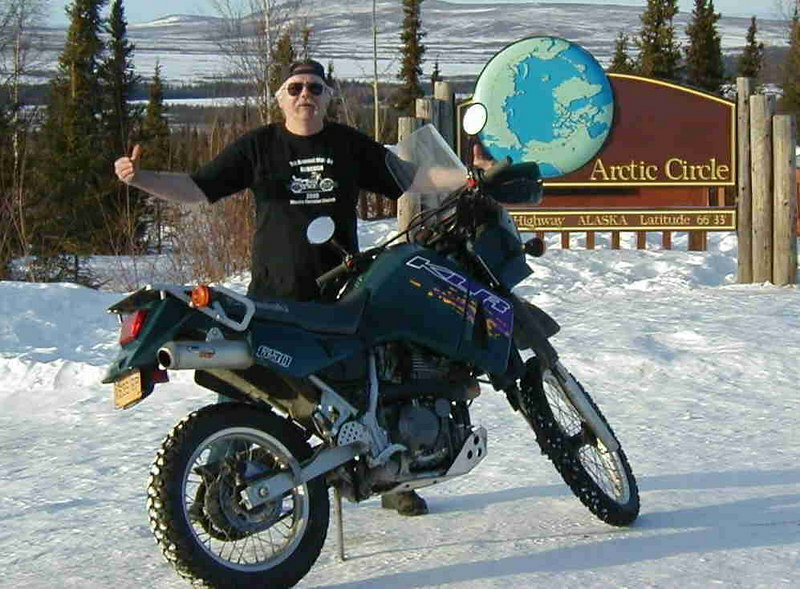 After two miles of riding on the slippery stock tires, I decide the best place for the bike is back in the bed of his pickup. 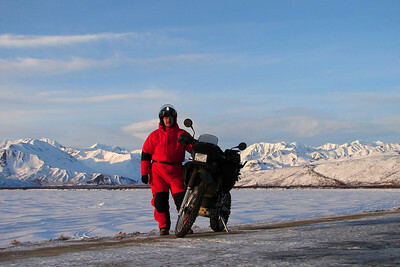 But we unloaded it at the Arctic Circle long enough for some hammed up photos.